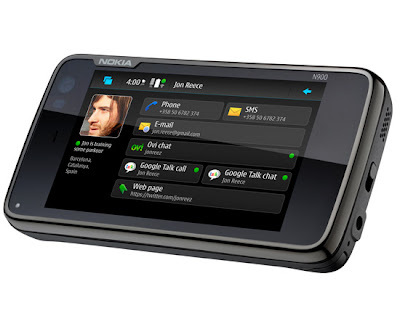 Home » Mobile News , New Mobile Phones , Nokia » Nokia N900 the Best Nokia Phone Until now? Nokia N900 got an official announcement today and the phone really rocks. It is built on Maemo Linux and openGL graphics. Its the best Nokia phone as of now. N900 has powerful ARM 600 MHz CPU and it can be considered as Pocket PC. You can do almost everything on this mobile that you do on your laptop. The best thing is you can do everything with a device that fits into your pocket.Check out the demo video of N900 and I am sure you will be impressed.